Most will agree as we head into 2017 that more than the usual amount of change appears to be in our collective futures. 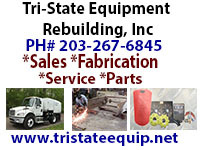 You can count on us to keep you caught up with the changes that affect the power sweeping industry. In fact, we already did so: Last December, wearing my hat as Director of the World Sweeping Association, I provided to Jessica Stoikes, Associate Editor of PAVEMENT Maintenance & Reconstruction magazine, an overview of the potential industry challenges I see in the coming year. We offer her resulting article as our lead story this month. A change we have made for 2017 at WorldSweeper is that we are modifying our periodic Featured Contractor podcasts. Since we already have nearly 100 contractor-based podcasts and articles in the series, we are adapting the feature to include interviews with other professionals in the sweeping industry. We believe this change will bring expanded information to our WorldSweeper readers. As a start in that direction, our most recent podcast features long-time sweeping consultant, Gale Holsman, in a podcast designed to help guide a struggling contractor back toward profitability. You will find the information in our linked article, below, "Tracking and Communication are Keys to Sweeping Contractor Profitability." There's been a change in the Stewart-Amos line. The company has added a new sweeper configuration to its model line. That is not only to respond to change requested by contractors and other users, but also one the company predicts will keep more of that other kind of 'change' in your pocket. Everyone in the sweeping industry is certain to enjoy the new 18-minute movie about the life of McKinley "Kenny" Page and his obsession with street sweepers. It's a feel-good story of the first order that may change how you view street sweepers, as will the video that ends this issue, Suu the Street Sweeper, which has received over 10 million views. There's even more to help you start your business year out by becoming more informed about what's going on in your industry. Thanks to all of our sponsors for their continued interest in, and support of, WorldSweeper. If you are one of our industry sponsors, thank you so much for the critical part you play in supporting 'Earth's Largest Power Sweeping Resource. 'SM If you sell to the sweeping industry but don't yet advertise with us, please consider doing so. Conversely, if you're a contractor I urge you to check out the many benefits of membership in the World Sweeping Association, America's fastest-growing sweeping association. 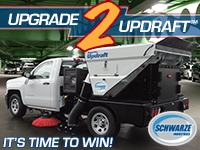 And, last but not least, if you are any way involved in the power sweeping industry – as I have been since first producing the SuperVac Quarterly for the Schwarze family back in 1988 – thank you for wanting to read the 'sweeping news you can use' I've been providing for the past 29 years... and continuing. 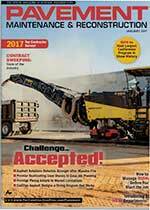 "For the January issue of PAVEMENT , we're hoping to feature a short article that highlights the state of the sweeping industry and what might be in the pipeline for 2017." The link below will take you to the resulting article Jessica wrote based on the information she received back from Ranger. 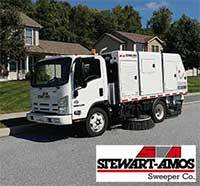 Stewart-Amos has introduced a new model in its mechanical broom line, the Starfire S-4c. John Paraschak, Vice President of Sales & Marketing for Stewart-Amos, tells us the new model is a heavy duty, mid-size mechanical broom street sweeper mounted on a highly maneuverable 19,500 GVWR chassis. That means no CDL will be required for operation. The Starfire S-4c is an update of Stewart-Amos' extremely popular Starfire S-4 with many value-added features that enhance the S-4's time-proven design. Starfire S-4c enhancements include 11' variable dump height, 16'-9" turning radius, 33% greater hopper lift capacity, and road- or curb-side hopper dump. One of America's top sweeping contractor trainers teams up with WorldSweeper's editor to provide tips designed to help a Southeastern sweeping contractor regain profitability during growth. You can listen to the hour-long podcast or read the edited notes on the audio that addresses the contractor's problems with accounts that are no longer profitable. 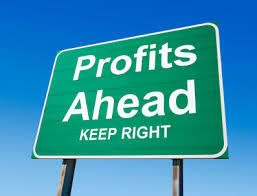 Gale Holsman, head of Kansas City-based American Sweeping, Inc., is the lead in providing ideas and answers for how to assess profitability and, at the same time, offers tips on how to increase pricing with current customers and more. This article is being made available for a limited time to non-World Sweeping Association Members. If you are a sweeping contractor and not a WSA Member, what are you waiting for?! Check out the WSA podcast and article. As you may already know, since we have previously featured McKinley Page as someone who is Noteworthy in Sweeping, he has loved sweepers since he saw his first one at about the age of three or four. However, his fascination with street sweepers turned into a lifelong passion. A few months ago, Page's story was brought to the attention of an interviewer and producer at Golden Isle TV, Avery C. Brooks. Ms. Brooks was intrigued by Page's unusual story, especially since it also included working with those who have disabilities. When contacted about the potential project, both the Elgin Sweeper and Schwarze Industries organizations came on board as sponsors of the feature production. The result is a heart-warming and informative @18-minute movie that, Brooks says, has generated more interest than most any other such project she's ever been involved with. The new federal standards for commercial, entry-level driver training (ELDT) have been published in the Federal Register. FMCSA says the notice of proposed rulemaking would enhance highway safety by establishing "a more extensive ELDT protocol" and by increasing the number of drivers who receive the training. FMCSA proposes new training standards for individuals applying for an initial CDL, an upgrade of their CDL1 (e.g., a Class B CDL holder seeking a Class A CDL). The components of the training are generally subdivided into classroom theory and behind-the-wheel (BTW) segments to be completed on a training/driving range and on public roadways. The proposed training curricula also includes a unit addressing "the right of an employee to question the safety practices of an employer" without incurring the risk of losing a job "simply for stating a safety concern." Sweeping contractors are divided over whether to operate their night, parking lot sweeping, routes with one employee or two. For some routes, where not a lot of backpack blowing is needed and/or not many garbage bag liners need to be replaced, using one employee as both sweeper operator and backpack blower operator is often the most cost-effective way to go. However, if the route includes unsafe stops, many decide going with two employees per sweeper makes more sense. Second generation sweeping contractor, Michael Nawa, points out that this latter argument fails in truly dangerous working spaces. "If you are working in an area where employee safety is a concern," says Nawa, "then the two employees must stay in visual contact with each other in any event. 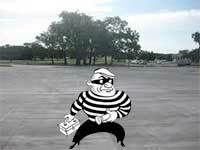 When that happens, you can run into situations where the sweeper has to idle alongside the backpack blower operator as they blow off the sidewalk or other areas, which is simply a waste of time – and money. You'll want to check out the third alternative he offers, one that increases employee safety as well as customer satisfaction and his company's bottom line. The brief linked article is a reminder about emphasizing safety when crossing railroad tracks with an operating sweeper. This incident in Joplin, MO, on January 19th could easily have been fatal to the operator if he'd been just a little further onto the train tracks. He apparently didn't hear the bells at the train crossing due to sweeper noise. This is the most-watched video every posted by the San Francisco Chronicle. In one week's time, well over 10 million people watched the video featuring 67 year-old San Francisco street sweeper, Suu Ngo. This serves as a good reminder that every single person we walk passed each day has a story, and there's a decent chance their story is remarkable. Embedded is the YouTube version of the video. If you're unable to view the linked video, the YouTube direct link is here. Thanks for reading WorldSweeper.com's January 2017 Newsletter!